The Manitoba-Tough Ford F-150 has long been Canada’s best-selling pickup, and a staple on Winnipeg’s roads. But now there are even more reasons to love the F-150. With military-grade aluminium alloys (and 78% steel frame), Ford have cut down on weight while increasing strength. The 2017 F-150 also boasts 31 new safety innovations, like the inflatable rear seat belts available in SuperCrew models. 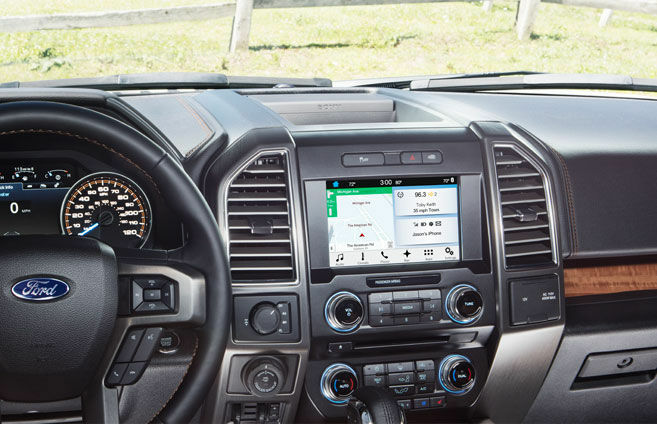 Of course, you also get first-class combination of power and fuel economy that have made the F-150 the number one choice for Winnipeg pickup drivers. Not convinced? The F-150 beats the competition when it counts. 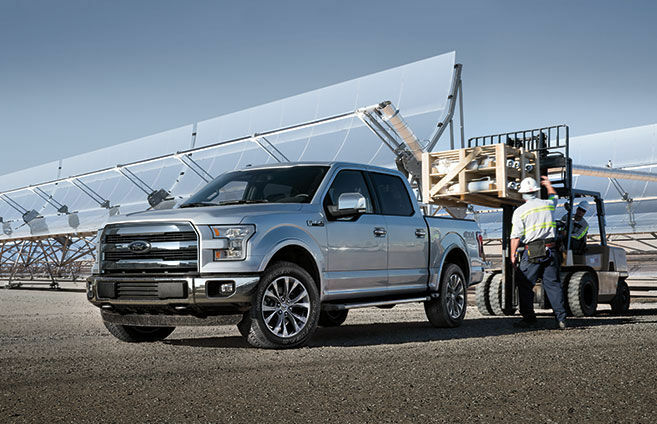 For maximum payload, a properly equipped F-150 can handle an incredible 1,483 kg. For comparison, the Chevrolet Silverado and Ram 1500 manage only 1021 and 853 kg, respectively. But the F-150’s power doesn’t compromise fuel economy. The F-150’s combined, city, and highway fuel economy numbers eclipse the Chevy Silverado 1500 and Ram 1500. * It’s safer, too. The F-150 scores an overall 5-Star Safety Rating from the NHTSA, with five stars in every single crash category and a four in rollovers. The Ram 1500 4X4 only earns a 4-Star Safety Rating Overall. The Silverado 1500 4X4, meanwhile, takes a 5-Star Rating Overall but loses to the F-150 in the Side-Pole crash test, and has been the subject of recalls for inadequately welded control arms, and airbags that fail to deploy. Once you’ve decided the F-150 is the truck for you, you need to decide which F-150 is right for you. 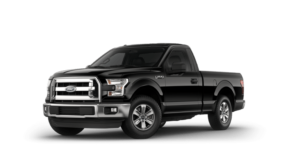 *Models compared: 2017 Ford F-150 XLT 4X4 Regular Cab (13.2 city/ 9.7 hwy/ 11.6 combined (L/100km)), 2017 Chevy Silverado 1500 4X4 Regular Cab, and 2017 Ram 1500 SLT 4X4 Regular Cab. 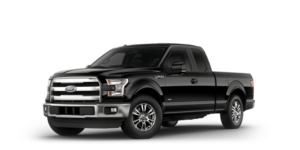 The F-150 XL trim, available in Regular Cab, or SuperCab, comes with a standard 3.5L V6 Ti-VCT engine with Flex Fuel capability. That means you can run your F-150 on an ethanol-gasoline blend, greatly reducing greenhouse gas emissions. The XL also features AdvanceTrac with RSC for mastering Manitoba roads and Halogen headlights for cutting through Manitoba snow. Inside, you get a 2.3” productivity screen and 40/20/40 cloth seating. Upgrading to the F-150 XLT comes with a number of perks. Standard SYNC with AppLink. In addition to Regular Cab or SuperCab, the XLT comes the optional SuperCrew variant. You get standard fog lights to guide you through Winnipeg’s rough weather and brighten up the bold exterior touches. Those exterior touches include 17-inch, silver-painted aluminium wheels; chrome front and rear bumpers, and a chrome grille surround. The LARIAT F-150 represents a huge step up in terms of performance, style, and comfort. The standard engine is the 2.7L EcoBoost with up to 8,500 pounds of maximum towing and an impressive 10.9 L/100km (combined city/hwy). Those numbers come, in part, from the Auto Stop/Start technology that cuts the engine when stopped and restarts it seamlessly when needed. Even more functionality comes from the Class IV Trailer Hitch Receiver, Trailer Tow Package, and Reverse Sensing System. The Lariat name also brings comfort and convenience. Inside, you’ll find heated and cooled leather-trimmed seats and the SYNC 3 infotainment system paired with an 8” productivity screen. 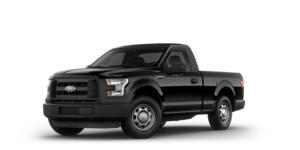 The F-150 King Ranch, in the SuperCrew format, starts with a 5.0L Ti-VCT V8 with Flex Fuel capability. With that engine, you get a staggering 385 horsepower to tow or haul almost anything you can think of. And, whether you’re conquering mountains or cruising Winnipeg, you’ll look good on top of 18” silver-painted aluminum wheels with the Caribou King Ranch logo. Climb up the angular, Caribou step bars and go inside where you’ll find heated and cooled King Ranch leather bucket seats, heated rear seats, and a premium Sony 10-speaker system. 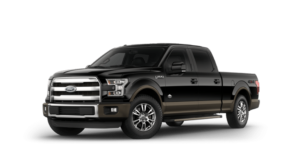 The F-150 Platinum is priced similarly to the King Ranch, and it shares the 5.0L Ti-VCT V8 with Flex Fuel, but it has a few unique features. The running boards are power-deployable and retract automatically. BLIS (Blind Spot Information System) with cross-traffic alert keeps you focused and in control on the road. Finally, the F-150 Platinum brings cool accessories like rain-sensing wipers, a leather-wrapped steering wheel, satin finish grille surround, and a tailgate step with tailgate lift assist. 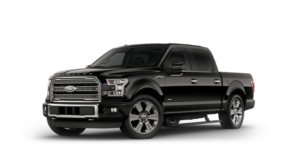 Quite simply the F-150 Limited represents the absolute best in performance, technology, and comfort. Under the hood, is the new 3.5L EcoBoost engine with Auto Stop/Start technology. It also has the new 10-speed automatic transmission codesigned with GM, 22” polished aluminum wheels, and a twin-panel moonroof. The latest safety technology is standard: features like a 360o camera for parking in downtown Winnipeg, a Lane Keeping System, and adaptive cruise control with collision warning for smooth sailing on Manitoba’s highways. You already know the reputation of the Ford F-150. Now Canada’s best selling truck has added a high-strength, military-grade aluminum body. You still get the durability of the Built Ford Tough promise. You still get a 5-Star crash test rating. You still get the best-in-class payload. You still get Canada’s best-selling pickup. But now you also reap savings in fuel economy with trucks up to 700 pounds lighter. The 2017 also brings a host of new features that widen the gap between the F-150 and its competition. Take the new 10-speed Select-Shift® automatic transmission for example: the extra gears don’t just sound cool, like extra razor blades, they improve fuel economy and make acceleration more efficient. Tighter ratios between gears keep your truck closer to maximum power during acceleration. Pro Trailer Backup Assist™ makes towing any payload easy for novices and pros alike. Add a 360-degree camera with a split-view display and you’ll have total control over the road, no matter what you’re carrying or towing.